Bronzite is a member of the pyroxene group of minerals. It is a weathered form of Enstatite. The color is either green or brown. It is typically found in Maryland or Montana. 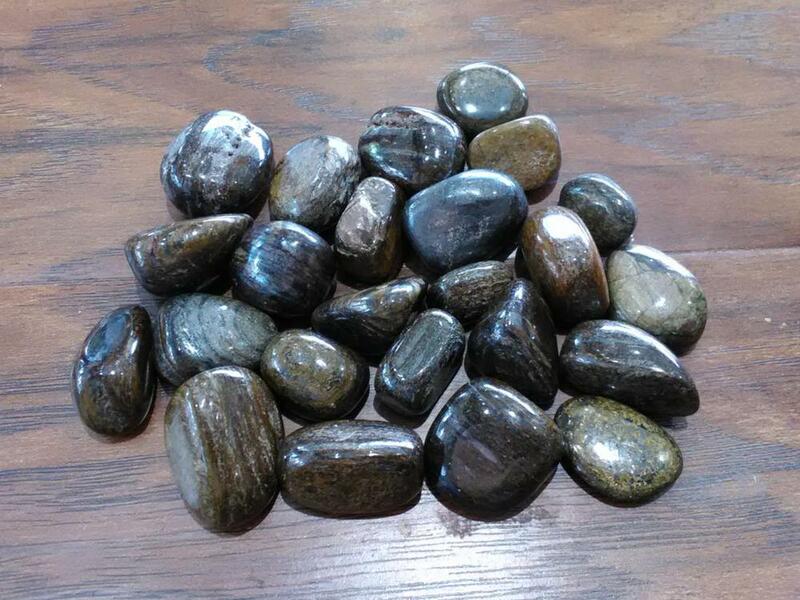 Bronzite is used for protection, as it not only repels, but also sends back the negative energies to the sender. Spiritually it assists us in achieving a state of certainty without willfulness. It clears confusion to make decisions and choices about our life path. Stone sizes range from 1/2" - 1 1/4"